During our time at E3, we got to test out this highly anticipated title and we were left unimpressed, to be honest. From the sluggish controls and the lackluster feeling of suspense, it really had a long way to go and come Tokyo Game Show 2018, we got our filthy hands on the game again. This time around, we got to play an updated build. Yay or Nay? Check out our gameplay impressions below! 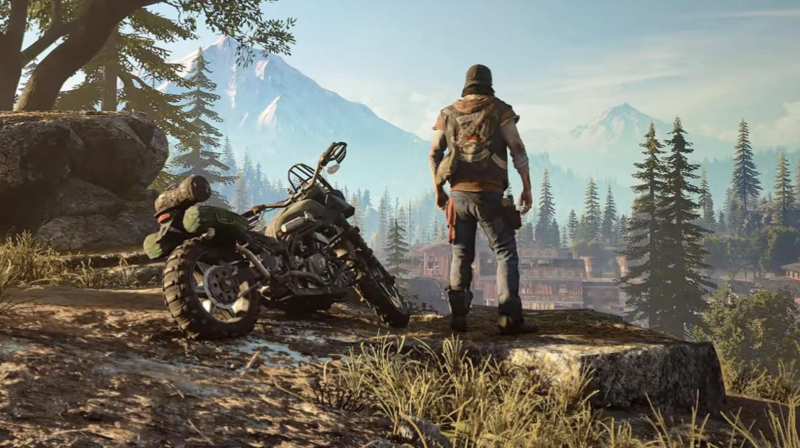 For the uninitiated, Days Gone is an open world game that has our lead character, Deacon St. John, moving around the world fighting these zombies and marauders. As to why, we do not know of the story yet and his motivations in doing so but we know that this is a tale about survival and finding a “reason to live”. Being an open world game, you are free to roam around the map but there are certain elements here that is quite interesting. First off, it seems that time of day is an active element in the game. You have the ability to “rest” and pass the time to trigger day and night cycles and each time of day has radical changes on how you would approach the game. During the day, there are less aggressive zombies and they don’t react too much to nearby movements, but marauders run rampant in the day time and will offer a different kind of challenge as they also use weapons and firearms. When night time hits, the zombies grow in number and are way more aggressive. They’ll be tougher and will be harder to kill due to limited visibility. Night time poses a bigger challenge but will yield more experience, so it may be a way to strategically level up faster if you’re good enough. Second is that you can liberate camps scattered around the world and by doing so, you will be able to earn currency that can be used at that specific camp and each camp has items you can spend on that can only be purchased from there. One camp can specialize in bike upgrades and one camp may offer powerful weapons, so choosing which camp to liberate first depending on the items being offered will be crucial to your progression. For a game with a campaign that will run about 30 hours give or take, resource management is a very integral aspect and you will have to scrounge up every scrap you can find to survive. Almost everything you pick up can be repurposed – ammo, consumables, explosives, upgraded melee weapons. If you’ve played The Last of Us, the crafting system here very much reminds us of that so you’ll need to be wise with your use of items and resources because there are a lot of items you can pour your resources into, even your bike is upgradeable and you’ll need to refuel it every so often to get around the world. And my main gripe about the controls? Somehow, the Tokyo Game Show build of the game was smoother and the controls weren’t as sluggish compared to E3. It could still use a lot of improvement, but it’s tolerable and more responsive now. Bend Studio has been listening to feedback and with a few months before release, rest assured that the game will be further optimized. The game won’t run on 60FPS on the pro, it’ll be locked to 30, but you can enjoy 4K with the pro as opposed to standard definition on the regular PS4. 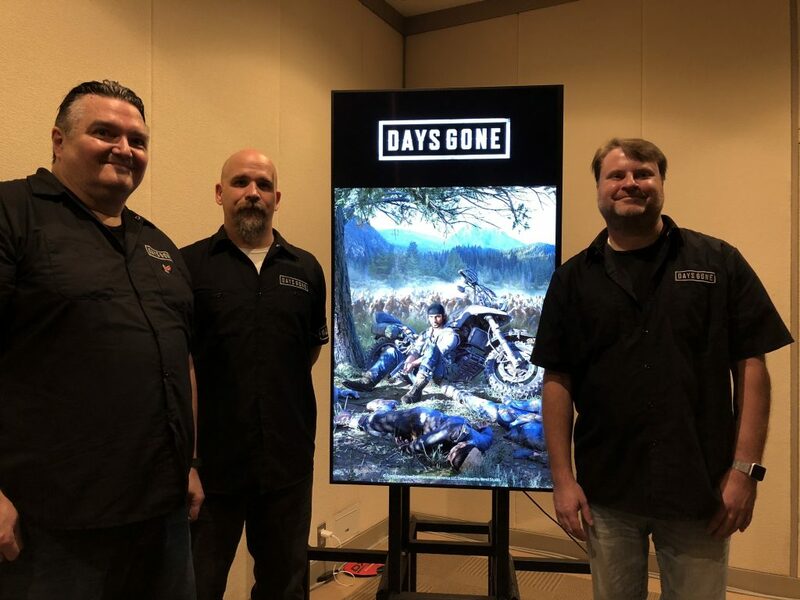 Days Gone is slated to release on February 22, 2019 exclusively on the PlayStation 4!